If you haven't heard of French audio company, Focal, I'm not surprised. The company has been making high-end speakers for over 35 years but have only started making headphones recently. The company's first headphone, the Spirit One, debuted in 2012 and today, the company announced its $4,000 (£3250, AU$5259) flagship headphone, the Focal Utopia. So what makes the Utopia so special and worth the $4,000 price tag? After listening to all types of high-end headphones, Focal wasn't satisfied with how these headphones weren't able to reproduce the spaciousness of being at a live concert. 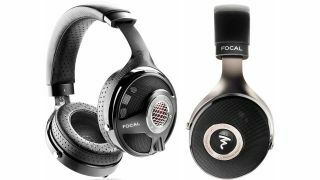 With that goal in mind, Focal sought to make its Utopia headphones the most spacious and comfortable headphones on the market. The Utopia uses Beryllium in its 40mm drivers, which is useful for its rigidity and lightness. This ensures sonic accuracy and low distortion, enabling the drivers to vibrate up to 50,000 times per second. Beryllium also costs thirty times more than gold, making it an expensive material to use. Other exotic materials, usually found on supercars, include carbon fiber which is used for the headphone forks. Carbon fiber is known for being lightweight and strong, helping to reduce the weight of the Utopia. They still weigh just over a pound (half a kilo) so they're not the lightest headphones out there but should be comfortable for long listening sessions. And those earpads? They're made from lambskin. "The Utopia digs deeper into the sound of music than other headphones, so as I listened to Miles Davis and Gil Evans' big band recordings I could more clearly follow each instrument within the orchestra," says CNET's Steve Guttenberg. $999 still too much? Check out Focal's entry-level Listen headphones instead. For $250 (£150, AU$329), you get a closed-back headphone that provide isolation from outside noise, which is great for listening on the go. The Listen features memory foam earpads that should make for a comfortable listening experience. The Focal Utopia and Elear will be available June 29th in the US (September/October in the UK) and the Listen will arrive July 15th in the US (September/October in the UK).